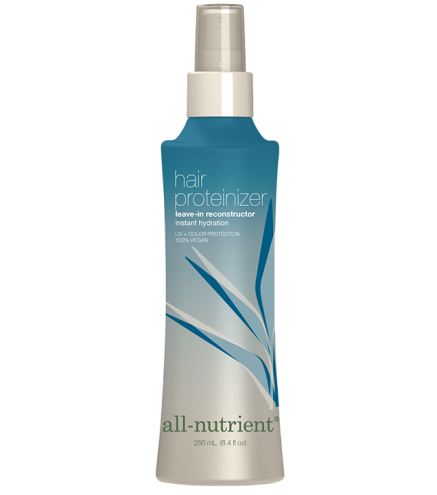 Hair Proteinizer is a lightweight, leave-in reconstructor that contains vital Keratin Proteins and Keratin Amino Acids to effectively repair damage and strengthen the hair from the inside out. Coconut and Jojoba Oil fill the cuticular layer of each strand to restore softness and elasticity. Rainforest Cupuaçu Fruit imparts lubricity and shine to dull, brittle areas to keep the hair hydrated and healthy. Hold 4 to 6 inches from towel-dried hair and spray evenly. Comb through and leave in for daily nourishment. Use regularly for ultimate hydration and shine.